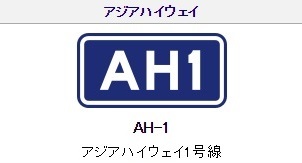 #asianhighway no. 6 starts from Busan and goes all the way to Russia and Belarus. But it won’t mean much with the #dmz dividing up the Korean peninsula. 140914.